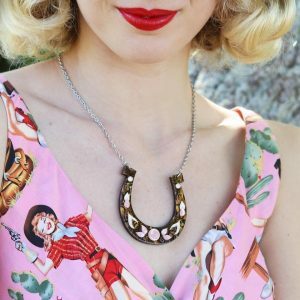 Looks like a winning hand to us. 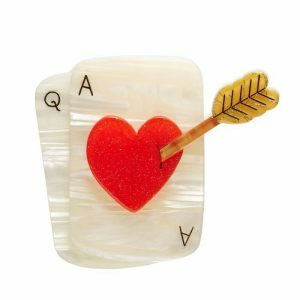 Of course we have no idea what card game is actually being played. 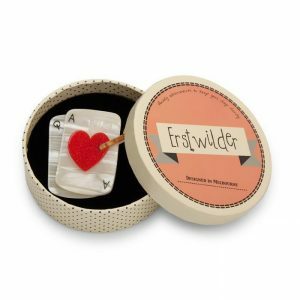 Should we raise or fold? 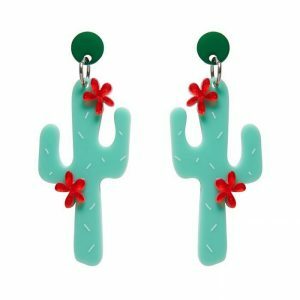 Who doesn't love a cactus? 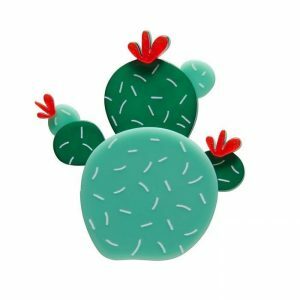 It's a cacti loving kind of world. 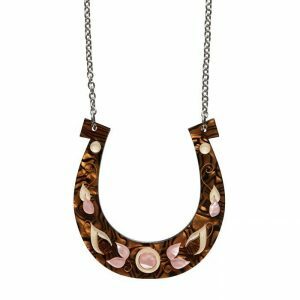 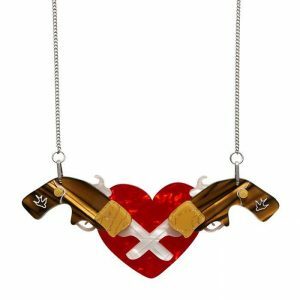 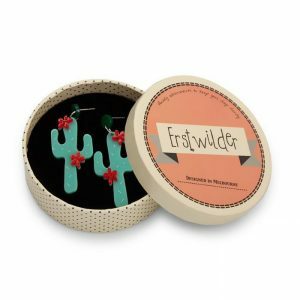 Celebrate star-crossed lovers, of the Wild West variety, with our pair of retro revolvers and red love heart statement necklace. 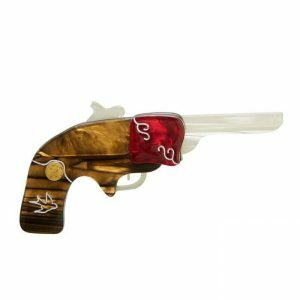 Being a quick draw would be a handy skill to have in the Old West. 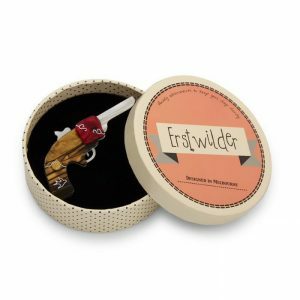 We heard things could get a little wild back then. 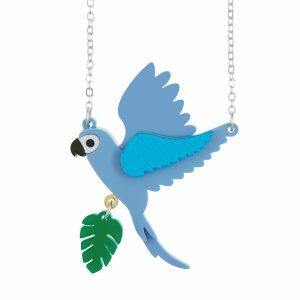 This beautiful parrot necklace is handmade from layers of the prettiest pastel blue laser cut perspex. 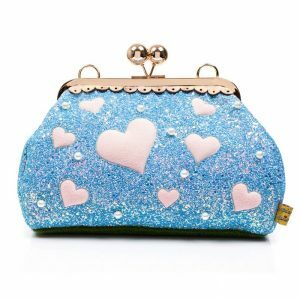 Squishy pink lovehearts on a blue sequin background; this statement handbag goes great with everything! 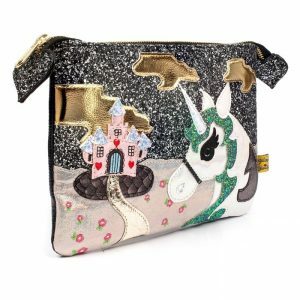 Taking a trip to the magical unicorn kingdom? 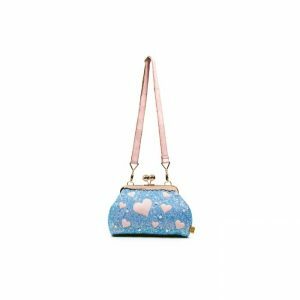 Pack your bits and bobs into this stand out classic misty bag. 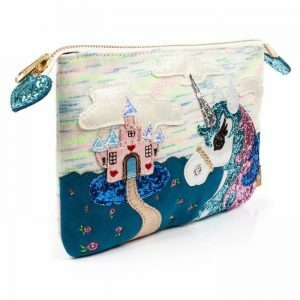 Comes with an applique misty castle design, double zipper compartments and a metallic shoulder strap. 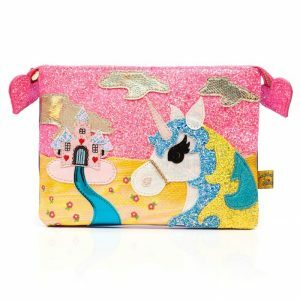 A beautiful misty pouch to encase all of your fantastical accessories, this gorgeous zip up bag will be an eye catching addition to your misty collection this season. 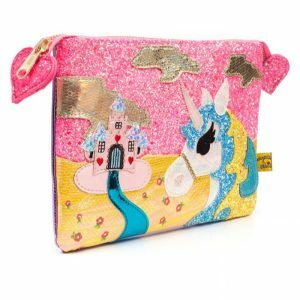 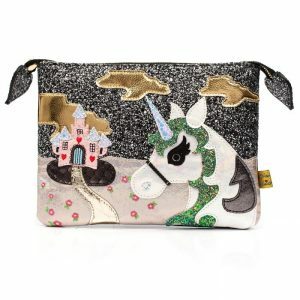 Transport your precious things to a magical unicorn kingdom with this IC classic design king of the castle pouch. 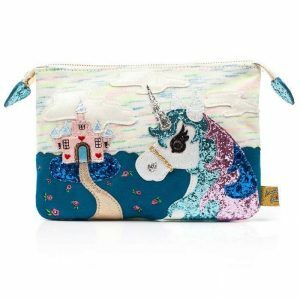 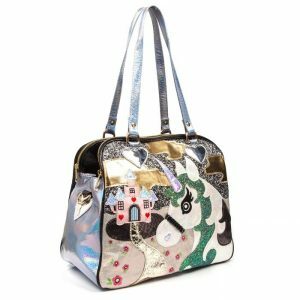 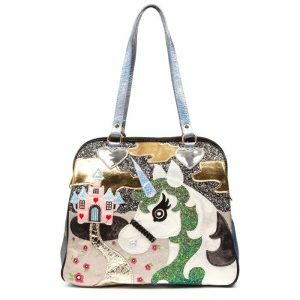 Featuring a gorgeous glittering unicorn character and castle with iridescent fluffy clouds on a fluro sketch effect sky and a suedette landscape with floral embroidery.